In India, jewellery is more than mere an ornament. It signifies cultural connections, religious beliefs, and much more. 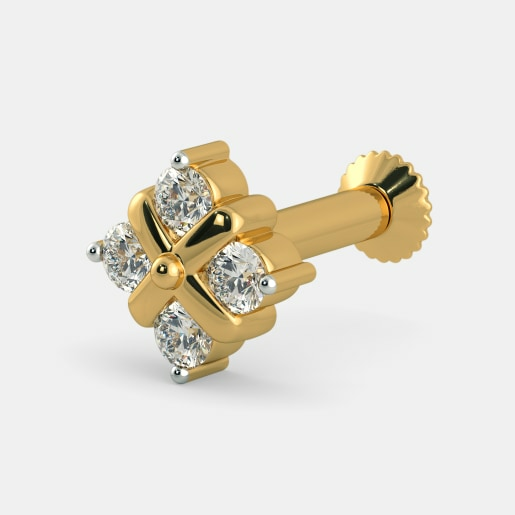 In many parts of India, the nose pin signifies a woman’s marital status and is removed only after the death of her husband. However, the association of nose pins solely as a visual marker of marital status is long gone! 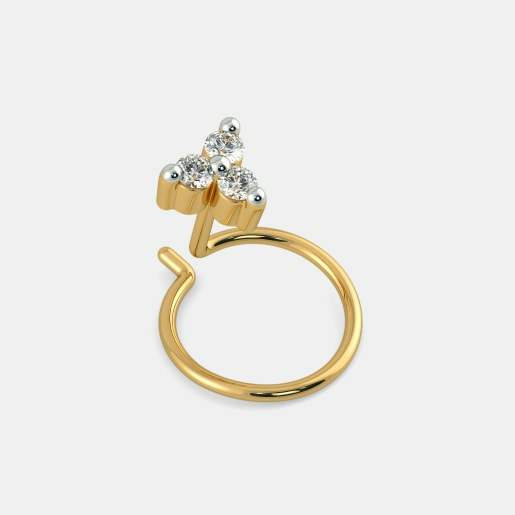 Today, married or not, working or college going, younger fashionistas choose to wear this tiny trinket as a fashion accessory. 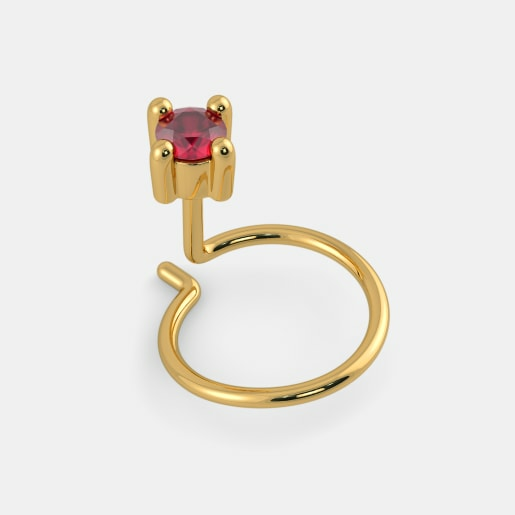 Take a look at some of the latest trends such as septum rings, ball closure rings, nose bones, hoops, etc. 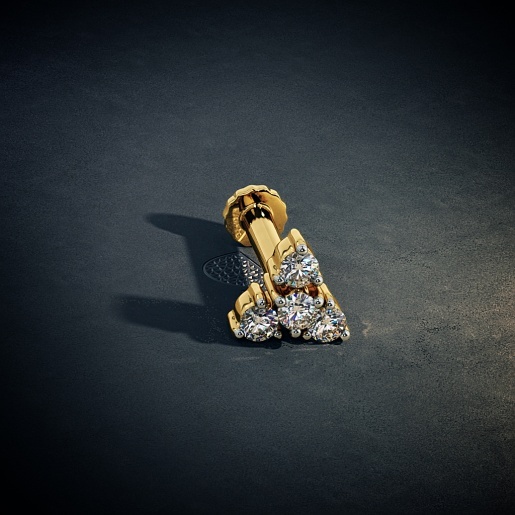 and you will see how the jewellery industry reciprocated the enthusiasm of modern fashionistas. 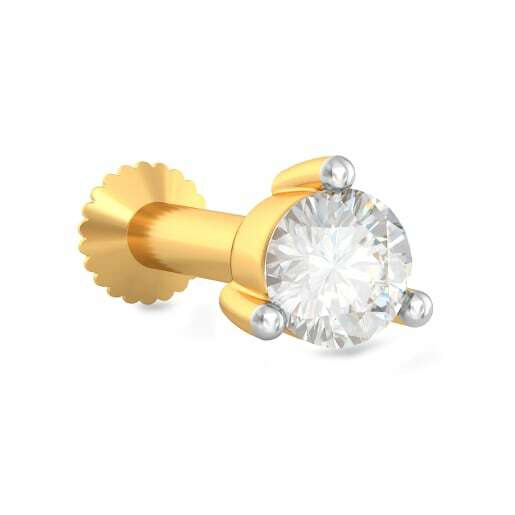 For women who want to carry a little sparkle on their nose every day, BlueStone offers a twinkling collection of everyday nose pin designs. 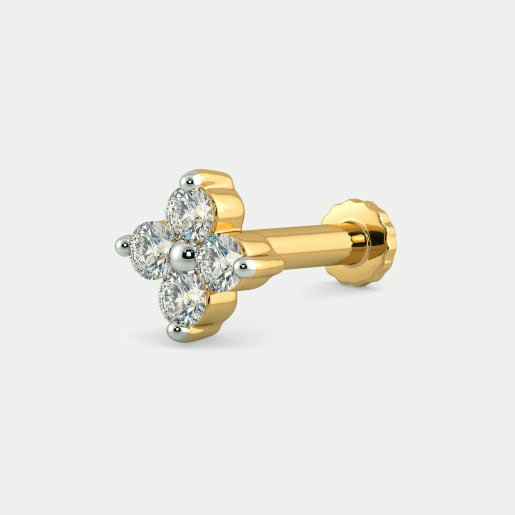 How to Choose and Buy Everyday Nose Pin Designs? 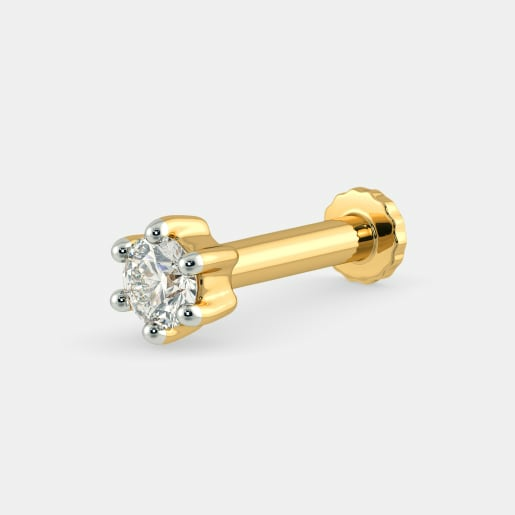 Everyday nose pin designs are typically dainty and delicate. Given their proximity to the eyes, it is essential that the design does not interfere with your line of sight. 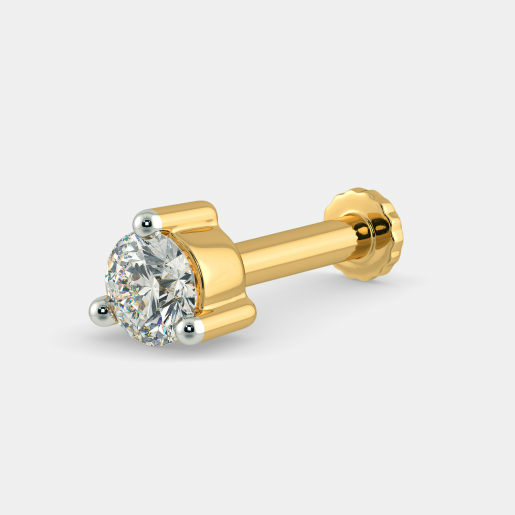 Thus, nose pins with a single stone such as the Adonis Nose Screw or the Allium Nose Pin are ideal for everyday wear. 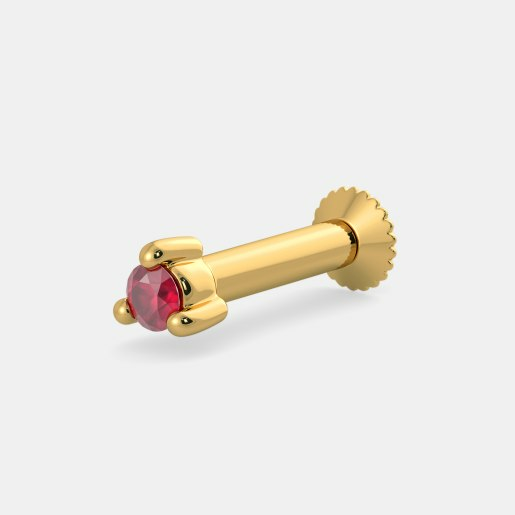 You could also choose something more colourful like the Thistle Nose Screw featuring an amethyst or the Tansy Nose Pin studded with a blood red ruby. Given the affordability of nose pins, you can easily buy one in every colour to match your outfits. 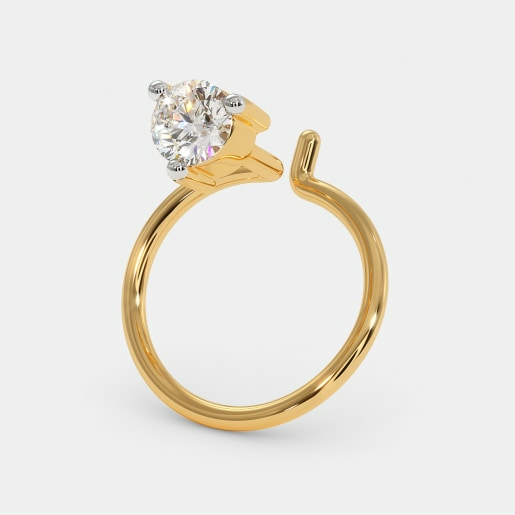 Alternatively, you could let your nose ring celebrate the gleam of gold with plain gold designs like the Kosara Nose Ring that complements all colours and outfits. 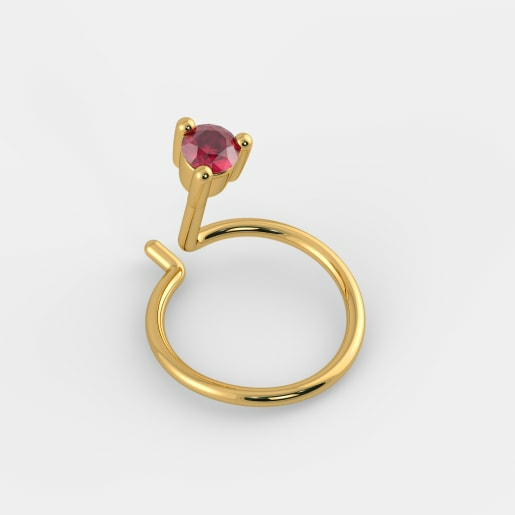 When budgeting for a nose pin, take into account the size and number of stones in the design as this plays a large part in determining everyday nose pin prices. 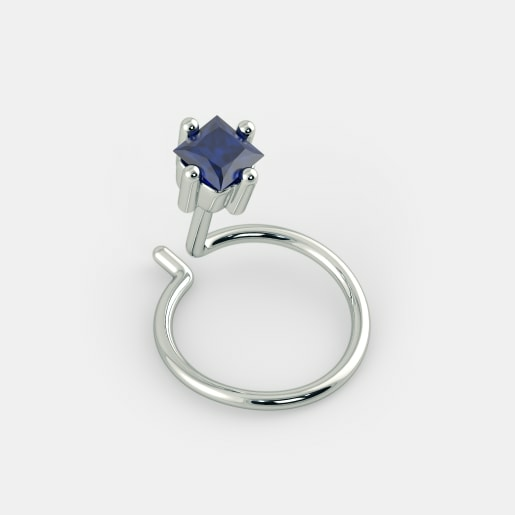 For example, the Lobelia Nose Screw and the Hyacinth Nose Screw may look identical but are priced differently because of the difference in stone sizes. 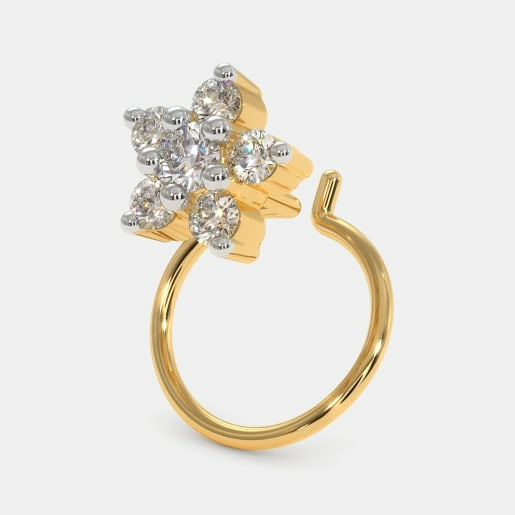 Likewise, a multi-stone piece like the Aureole Nose Ring is likely to be two or three times costlier than its single stone pieces like the Adonis Nose Screw. Irrespective of their cultural significance in your life, nose pins do make a significant statement about your style preferences. 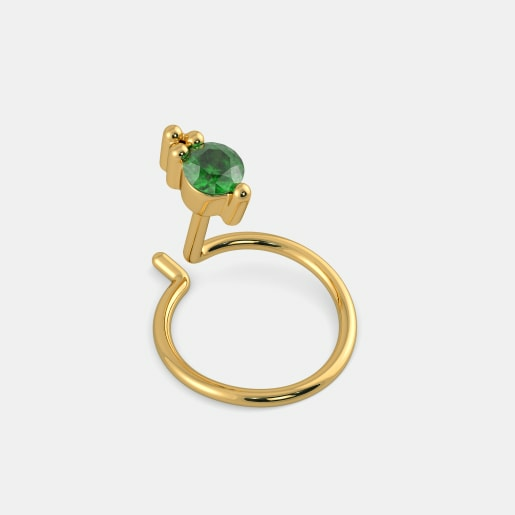 A woman who likes simple and minimalist designs is likely to wear something unobtrusive like the Adonis Nose Pin while a nature lover is more likely to wear something in the floral theme, like the Collective Flora Nose Pin. Women could also choose their nose pins according to their sun signs. 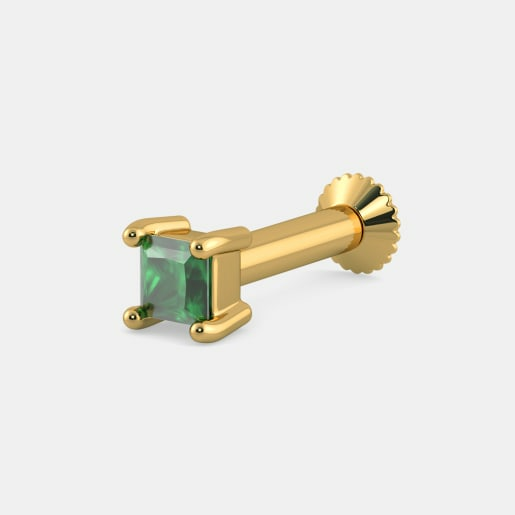 For example, a Leo might want to wear the ruby studded Melek Nose Pin while a Taurean could wear the emerald studded Tien Nose Pin. 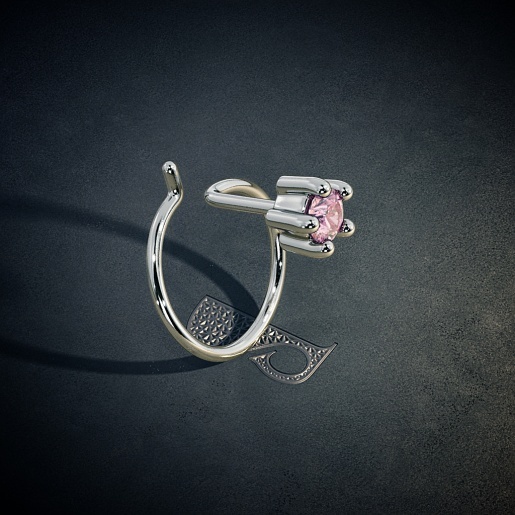 Women who are not afraid to be in the spotlight could also experiment with bolder designs like the Larkspur Nose Screw or the Vervain Nose Pin. With BlueStone offering a range of designs in different styles, colours, and sizes, all you need is a little time to browse through our collection and find your twinkle. Screws vs Pins: What is the Difference? 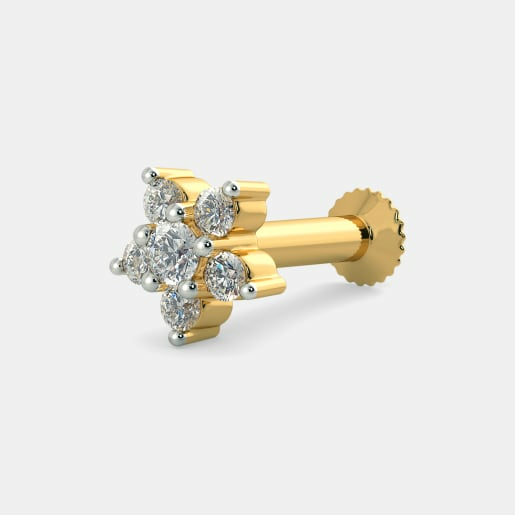 When you buy everyday nose pins online at BlueStone, you’ll notice that the designs are categorised as nose pins, nose rings, and nose screws depending on their physical form. Nose pins can be described as a long wire with a decorative element at one end. This wire is bent and curved such that when it is inserted through a piercing on the nose, the decorative elements rests against the outer nostril and the remaining wire rests against the inner nostril walls. 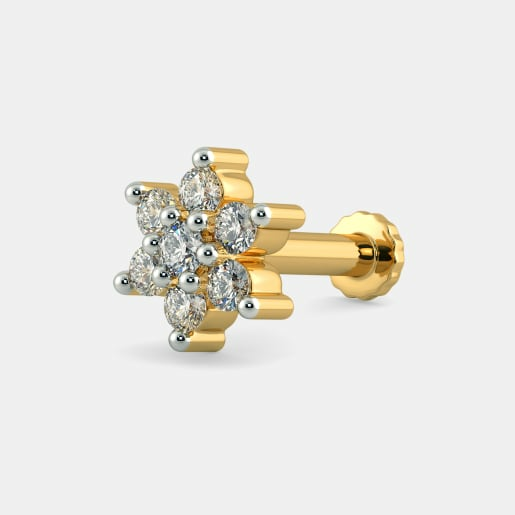 Two of our bestselling nose pin designs in our collection are the Arum Nose Pin and the Geranium Nose Pin. 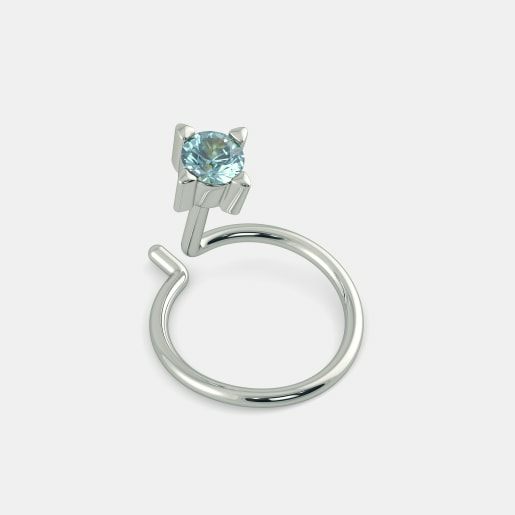 A nose ring can be very simply described as a ring that goes through the piercing on the nose. In shape, it is equivalent to a hoop. 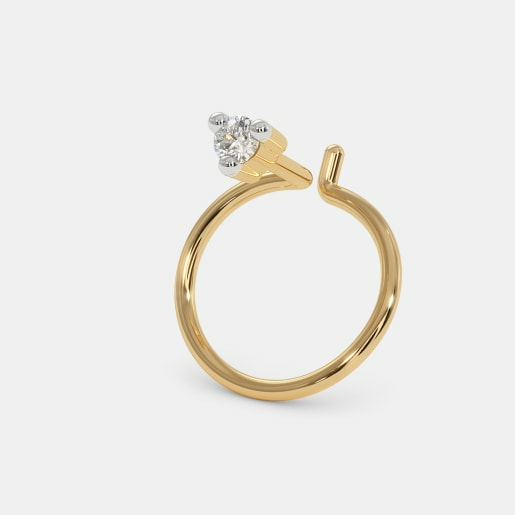 Nose rings may be designed solely in gold or feature diamonds too, as in the Aureole Nose Ring. Nose screws, on the other hand, are designed in two parts; the front and the back. 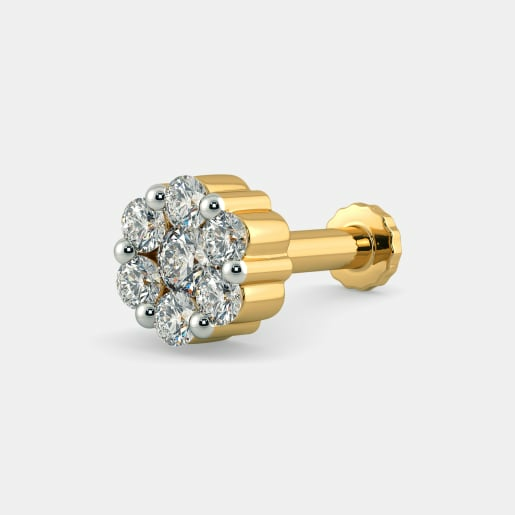 The decorative element of the nose screw is backed by a thin hollow tube with internal threading to form the front part. The back of the nose screw is very similar in form of a normal screw. 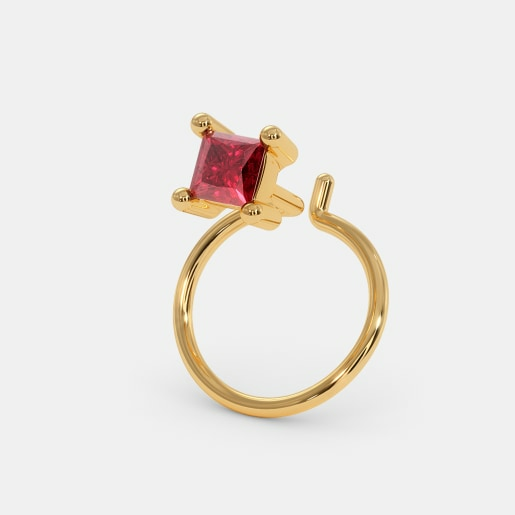 To wear this, you must first put the front part of the nose screw in and then screw in the back part. Thus, nose screws are typically a little thicker than nose pins. 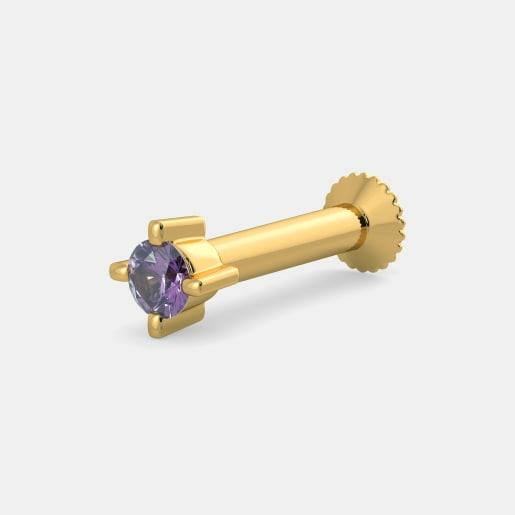 Two of our most popular nose screw designs are the Verbena Nose Screw and the Laurel Nose Screw. The beauty of shopping with us is that if you aren’t sure whether a nose ring, a nose pin, or a nose screw would suit you better, you can pick your favourites and try them on at home before finalising your selection. We are committed to making sure that every woman has her twinkle, no matter how big or small it is. So don’t worry, be happy and shop.